Passing At The Finish Line: Fair Or Foul? Our etiquette expert answers your questions. Etiquette expert Lizzie Post, great-great-granddaughter of Emily Post, knows a thing or two about the rules of the road—and the descendant of the famous decorum diva is a runner too! Q: I often have to use the restroom during group runs, and my friends always insist on waiting for me. It’s great of them, but I don’t want to hold anyone back. How can I assure them that it really is okay to continue and I can catch up? People who are sincere with their insistence can certainly be a battle, and quite frankly a silly one. The best thing to do in this circumstance is to let your friends know that it makes you uncomfortable when they wait. That line alone should be enough to encourage them to keep running and let you join them later. If one of them says, “Oh, don’t be silly,” counter with “I wish it was just a silly thing for me, but truly I’d much rather run a little faster and catch up than have the group stand outside the restroom while I use it.” Sometimes you have to paint a little bit of a picture for others to get your point. 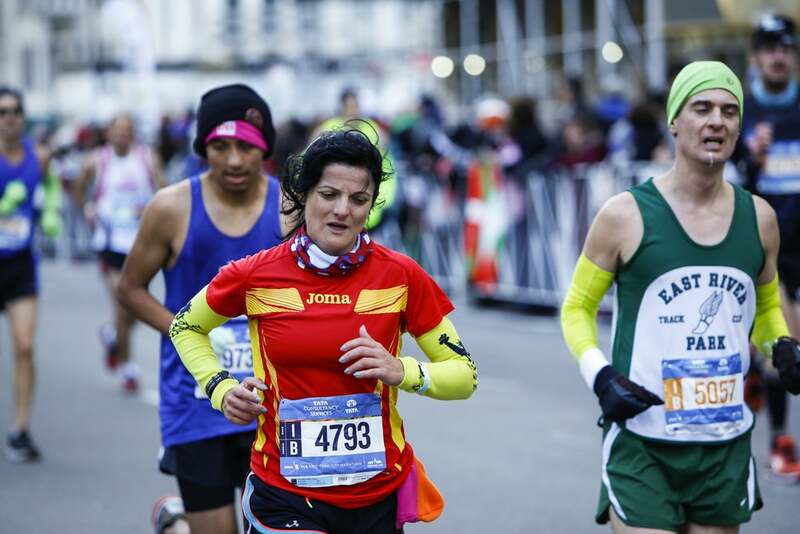 Q: Passing someone right at the finish line of a long race: fair game or bad form? Fair game. In a race, you should leave it all out there. If that means pushing it in your last few steps and passing someone you’re neck and neck with, then by all means give yourself the push. Sure this isn’t the Olympics, but it is about doing your own personal best and I think you should focus on that during the race. Have a question for Lizzie? Email editorial@womensrunning.com or tweet @womensrunning with the hashtag #ProperForm.